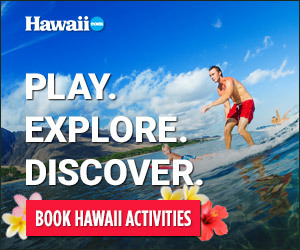 For the ultimate PEARL HARBOR experience, why not take a personalized guided tour back in time to the days immediately following the attacks of December 7, 1941? a flight high above O‘ahu in a U.S. Navy SNJ (complete with parachute) to check out the damage caused by the Japanese sneak attack. You’ll even get to fly the plane and take photos for the G-2 Intelligence Department during this mission re-enactment. Additional flights are available; all flights depart from Kalaeloa Airport. Call (808) 753-1346 or visit www.vintage-aviation.com for reservations and more information.